How’s the magic flowing for you ? 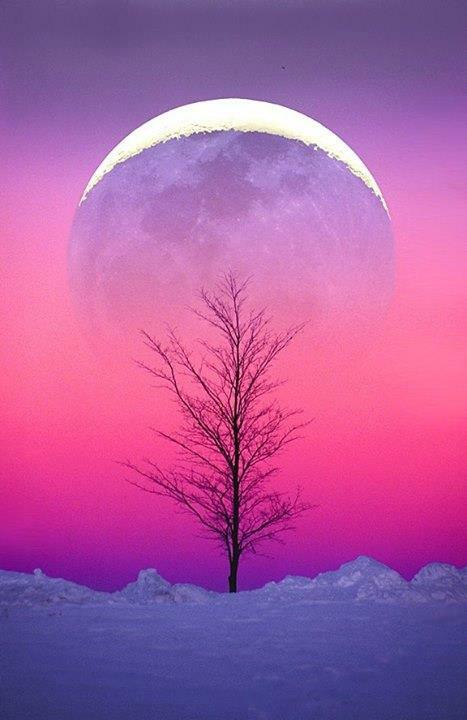 It is an Aries waxing moon today and as we are in the second quarter of the moon, it is a great time for sending out those intentions to manifest. My personality is still trying to figure out the ultimate question of how to get away from darth vadar dictator energy and looking for a solution ……. thing is though wherever I go I take my energetic self with me….. and that means…. that is the universal game plan just now. I went to a fabulous talk by Ian Rees about Dion Fortune , that was very timely. I highly recommend Ian’s way of working especially if you are interested in magic and the Hermetic Qabalah . Dion Fortune has been part of my Glastonbury journey and appeared for the first time in my life, in a house, I stayed in, called Dreamtime in the Pisces part of the Glastonbury Zodiac. As a family we had some very vivid dreams here. It’s a beautiful place to stay and saved our bacon as a sanctuary, when we first moved to Glastonbury in September 2011 and nearly became homeless. This was in the planetary White Rhythmic Wizard Year . The Dion Fortune appearance was in the form of her novel Moon Magic. I am currently reading The Goat Footed God which is timely for Venus in Capricorn and Neptune going direct today ~ my Neptune is in Scorpio. 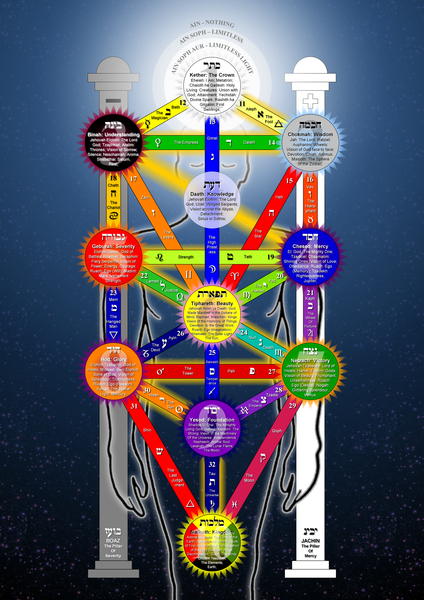 If you want to be able to talk and philosophise then read about The Tree of Life. When you have done this you will become a mystic by knowing about the concepts. If you wish to actually become the learning then there is a different path to follow. To create true change we have to become the change ~ reading about the concept is simply skimming the surface and does not create the knowing only the knowledge of the knowing. is what we can ultimately choose in this lifetime. the tigger tao , the eternal optimist that is indefatigable in me …. it needs to rest, recuperate and withdraw from “the resistance” to catch breath, and evolve and rejuvenate by going within . It is time for healing and firming up those bulbous little parts that can get soggy and rotten at this time due to lack of sun and irrigation. First frost in our garden this morning and a beautiful sight to behold. Luckily I had gathered in my geraniums in the last few days and so my precious heart plants were safe. I even have some tomato plants still growing and this is the contrast of this season here in Somerset , that is so different to the hard, deep permafrost I have been used to in Yorkshire. 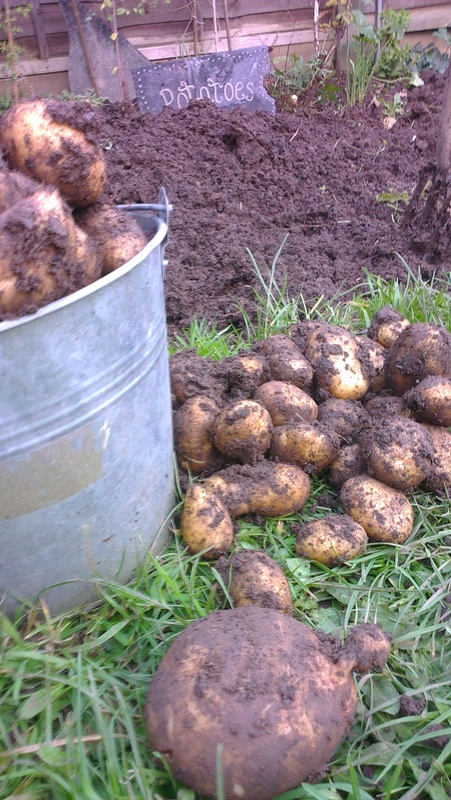 This afternoon I have been digging up my beds and finding buried treasure ~ indeed the largest potato I have ever grown and what a surprise as it was in a part of the garden that had not been planted with potatoes this year. It was a renegade gone awol from the year before. This put such a smile on my face ~ the delightful surprise of the unexpected ~ mother earth’s constant gifts that come without any agenda. and I am not going to go into the whole sorry story because….. This is “the secret” that many law of attractor afficianados do not understand. Our beacon, our blueprint is always radiating like a mobile phone tracker. We don’t switch it off and we don’t cancel out our true signal by thinking positive thoughts or using affirmations. Be nice if it were so simple wouldn’t it ? Like the neural networks in our brain this gets stronger and before we know it …..
the devil incarnate in The Witches of Eastwick. 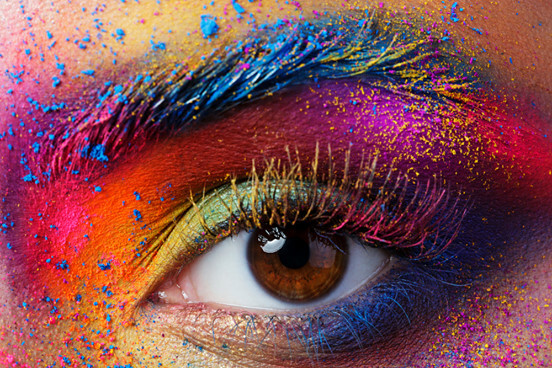 Being careful what we wish for is sensible and the middle ground as we learn about the nature of our creative powers. As in all the myths and magical tales , there is great learning to be gleaned for our own journey and the more we pay attention and heed what we know to be true ~ yes there really are people who believe it is ok to lie pathologically in our locality. we may still be reeling from this revelation decades later. Thing is…….do you now believe in yourself when you face such a wicked witch encounter of dishonesty and double dealing…. or do you still come up as a doubting Thomas about your own good self? How fast can you recover from a Narc attack? Protection methods put off the inevitable and stop us from healing because this methodology keeps the veil on. Especially when we start at the bottom and work our way up to the supernova. Working intuitively from heart knowing allows this ~ ego doesn’t and mismatches often going out of alignment for bravado and thrill seeking. 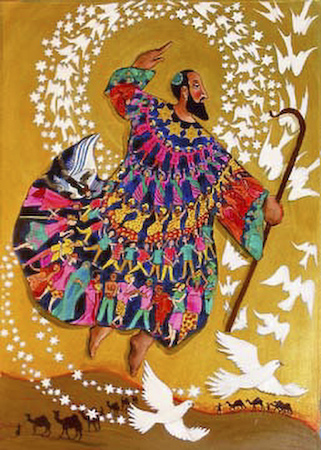 This first picture in the blog today, is Joseph and his technicolour dream coat. Here is a link to his full story here. It’s a favourite for school productions and is connected to the essence of today’s Mayan Sign and Wavespell. Another name for White Wizard is the Mayan Ix. Joseph got a pretty raw deal from his brothers’, who were jealous of him . He was the eleventh brother and had a different mother and was his father’s favourite ~ the love child. This didn’t bode well for him, especially as he was a Seer and his brother’s didn’t like his vision of Joseph being their “superior” in one of his dreams. This led to them selling him into slavery and ultimately allowing this vision of him becoming their superior, to become manifest, because of that action. I am reminded constantly of this at the moment in my own life and working with other people as a life coach. This is the metaphor for all those who choose to follow their soul journey and heart path . Our ego wrestles with “it” and seeks a solution, tries to figure it out and…..
As something happens that creates resistance within us….. It allows us to see that. If we have an emotional reaction that isn’t joy and love then we are resisting what is. Until we have allowed that emotion that is lost in the shadows, to be heard and healed…. the universe will keep setting up that same scenario for us to play out that past pattern role. We cannot, not do, our pattern because that is our energetic signature. and it doesn’t invoke dancing in us…..
by hearing the message of the song of our siren. If we try and ignore “it” or play a different tune without accepting this signature…..
and that can happen of course ~ for a while ~ till the veneer rubs off, the money runs out, the coach becomes a pumpkin again. People who do not integrate their shadow cannot have integrity it is really simple. This is another aspect of White Wizard. 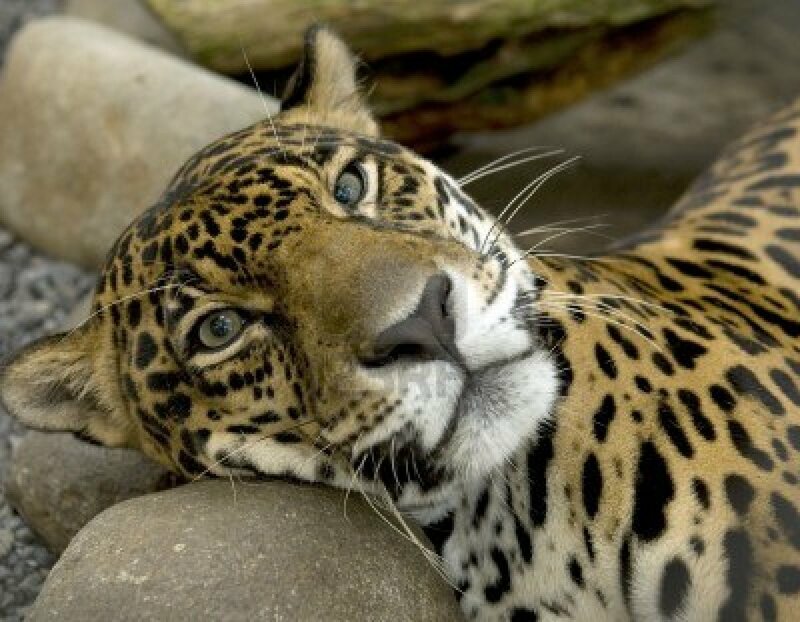 When I searched for an image of a Jaguar I got more images of cars than this beautiful creature and this is a sad reality on our planet, I believe, that many people prefer a mechanical ego status symbol and follow the path to achieve that goal. In taking the steps that create that , they do not see where that leads and that one path cannot live with the other. They are mutually exclusive in their current form and yet this can evolve. I watched Avatar again the other night and cried at the savagery and destruction. I do not have the answers and I have been ignorant and still am about many things…..
but I feel so sad and so helpless sometimes and I do not know how people can be so heartless. I am open to learning and it is my intention to do so. 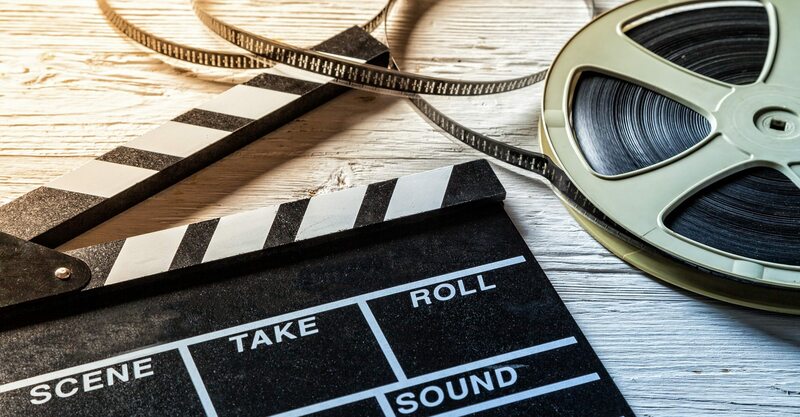 What I do know is it is all scripted and when I look deeper at my patterns I see so much now. In fact it is becoming ridiculously laughable. I looked for a location on google maps to see where it was and if I could go there easily and saw to my surprise….. Virtually the same set up. It wasn’t the same place but it looked identical. It created a connection for me to reveal what was being revisited that is the same in some way now. I see what I need to in each moment. I have lived in this place for two years now and am on my third year. Yesterday it was Moon in Pisces and remember just before I moved here I lived in Pisces . I also looked at what stage of my 13 year cycle that was in and what pattern I was revisiting . What is seeking movement now so I can bring Heaven to Earth for me? Now the fiery Wands have reached the happy Nine, the number that reflects on itself, entering the fields of Yesod – imagination and reflection back in the middle of the Tree of Life. 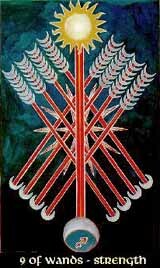 Thus the Nine of Wands remembers the own qualities, showing the full powers of the fiery element rising again. So the card shows strength, determination and discipline, preparing itself for the final step to completion. The shadow site of the card implies a warning – that we should use our spiritual consciousness to concentrate on our inner strength and master our will, and make it effective in the world we live in. 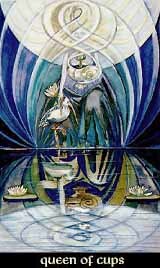 Please click on the link for the website of corax for all things Thoth Tarot. This is an amazing tarot and a great website with a huge reservoir of information. The Queen of Cups represents water in water, she is the purest manifestation of the soul of the waters. Thus she represents pure emotion, passion, feeling, never influenced by judgement or purpose. She is loving and affectionated, a warm-hearted mother and a tender friend, looking into the depths of the heart. On the darker side, the Queen of Cups lacks the stability of the Earth, the will of Air and Fire. Water in water is all passivity and has no powers of its own, but makes a perfect transformer of any other power coming along. So she is susceptible to all kinds of influences, her unstability might let her appear unreliable and inconstant. At its worst, the precious qualities of imagination and flowing fantasy might turn out to weakness and thoughtlessness, turning in any direction that any wind may blow, getting lost in a dreamworld of irreal fantasies. I will post the information over the next 13 days , as and when it comes up. It is so amazing to have clarity in this way. We can then be self empowered through having choice through awareness. Working with mind, body and spirit. So if you feel ready to look deeper into that sacred geometry of yours……..
we go for a cosmic ride and see ourselves in each others eyes. next wrijte ups thank you once again.